Another go at baguettes. Made this weekend. 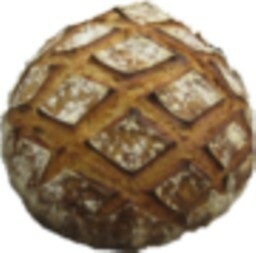 70:20:10 (AP:Bread:Whole Rye); 68% Hydration, Overnight retardation at 50°F. Excellent wheaty flavor, with an edge (probably the Rye). All the Bread flour was prefermented feeding the levain builds. This dough is essentially the same as that I mix for sourdough batards; only difference being 45;45;10 (AP:Bread: Whole Rye) flour ratios. Ok then, pass the olive oil! Just beautiful! Perfect crumb and crust. I think you are ready for France! Another good example of proper handling of dough and fermentation, at a modest hydration. You rock! I've worked steadily at finding and developing dough handling and long, cool fermentation practices to consistently get satisfactory open crumb with 65% to 68% hydration. In the case of baguettes I also think the relatively high surface to volume ratio of the baguette shape, along with a good quality, preheated baking stone (quality measured in the stone's heat energy storing capacity) is also a primary contributor to open crumb. This same dough, shaped into a tightly drawn batard, will not exhibit the same amount of openness. Truth is, despite hours of practice, I'm still not very adept at handling high hydration doughs. (> 72%). Except for ocassional ciabattas or foccachias I stay in the aforementioned range. high hydration for holes! Nice baking David! The yre has toi add to the taste profile. 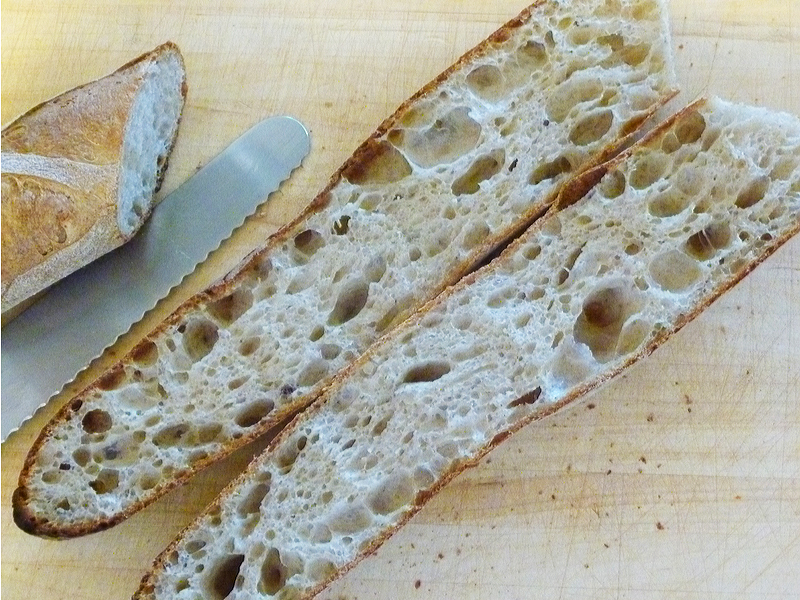 Your baguette is beautiful - the glimpse of the scoring looks just aswonderful as the crumb. ...for the praise. I really wish I could virtually share more than just a picture with you.